When it comes to mystery and magic in Switzerland, Interlaken really is the gateway to adventure in the Bernese Highlands. Located between two famous lakes Brienz to the east and Thun to the west, Interlaken is an incredibly popular travel destination for tourists seeking gorgeous sights, exhilarating activities, and the odd moment of indulgence. 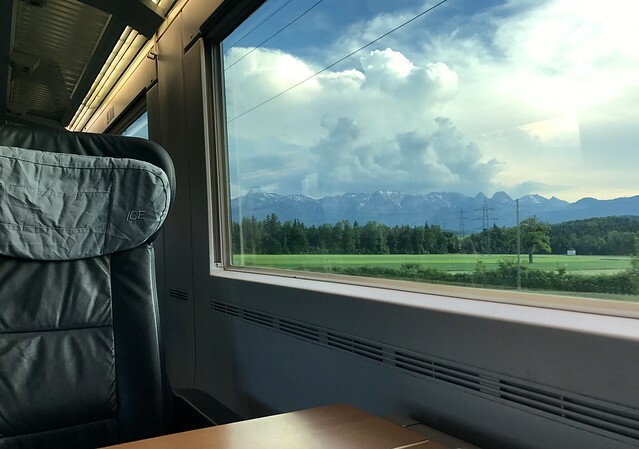 Incredible peaks around Interlaken are accessible by railway for adventurous mountaineers, and for every tourist the train has got to be one of the best ways to travel to Interlaken and enjoy amazing views along the way. If you have time, take the unbelievably scenic boat trip from Speiz. 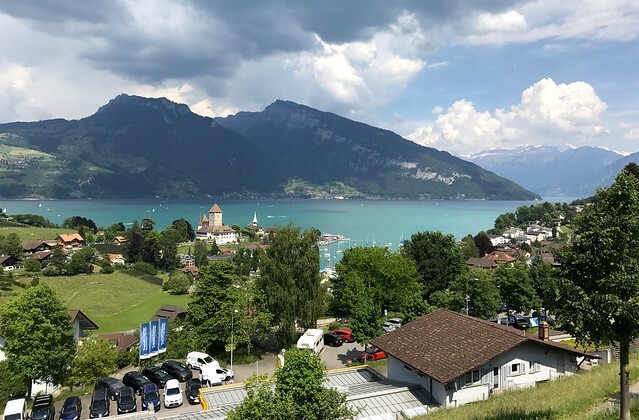 Cross the waters of Lake Thun enjoying fabulous mountain views, ancient churches, stunning sunsets from Speiz to Interlaken. 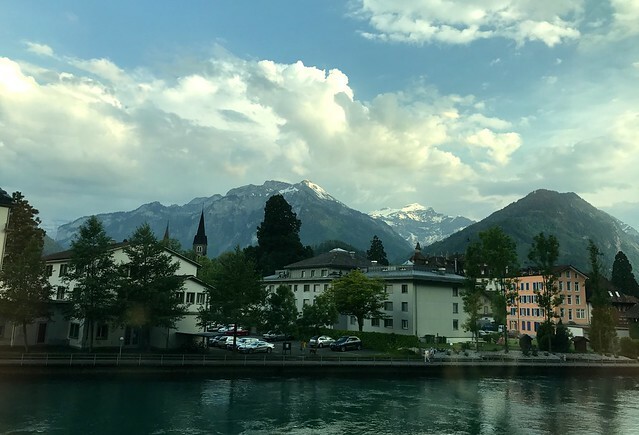 Here are a few more insider tips on making the most out of your time in Interlaken, one of the finest traditional towns in Switzerland. Interlaken has incredible scenery which makes it perfect to view from the daring heights on a paragliding trip. 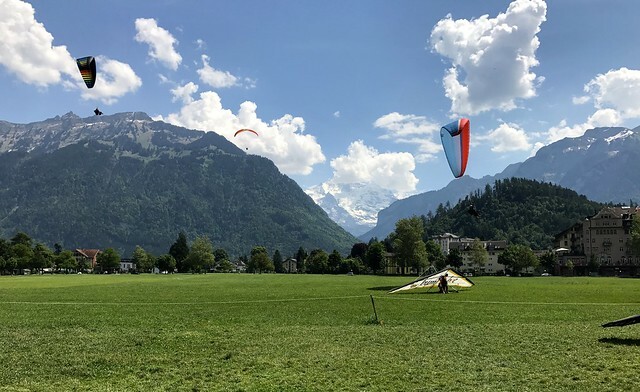 You’ll find that the tourist companies for paragliding in and around Interlaken are staffed by capable pilots who really know their stuff, and get you to the most stunning views in Switzerland. If you’d rather just watch from safety with a picnic, head to Park Höhemattee for sweeping views of paragliders in action. Head slightly outside of Interlaken and head to the famous high Alpine peaks of Eiger, Mönch, and Jungfrau, following upwards along the Lütschine river. 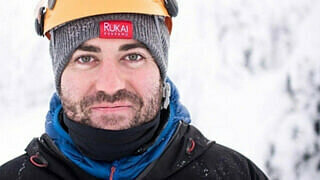 There are many mountain walking tour companies set up to take you on the best hikes and show you the best routes. 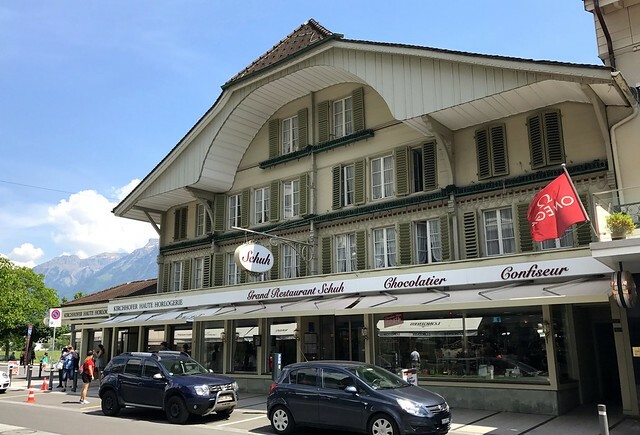 Cafe Shuh has a daily chocolate show and workshop which is held every day at 17:00, and offers a fascinating insight into the rich and delicious tradition of Swiss chocolate making. This quaint and interesting show is perfect for any chocolate lover. You can even book private shows for larger groups. Take a thrilling ride down some of the most scenic rivers in Switzerland. Dramatic peaks tower on all sides as you catapult down tumbling white water river rapids, all in the capable and safe hands of an experienced guide. This legendary chalet, Balmer’s hostel is really something special. The first hostel of its kind in Switzerland has a lot of fascinating history within the building worth checking out, and you’ll love the eccentric camping with a hammock room, tent area, and hot tubs. 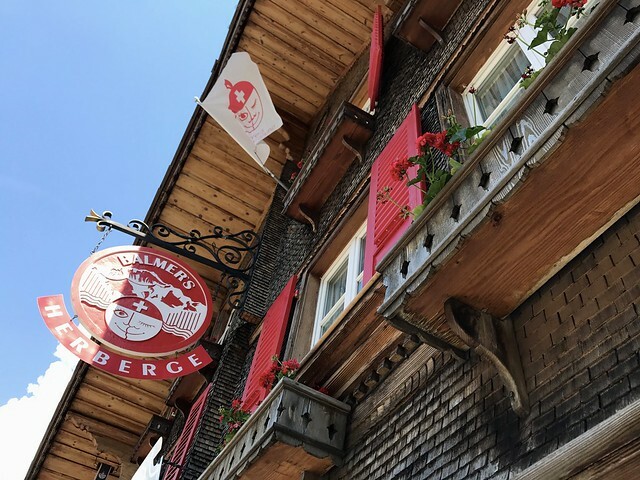 This place is full of character and quirk, and even has a nightclub if you fancy a wilder slice of Swiss life! A bonus travel tip has got to be that Swiss water is scientifically tested to be the best water in the world. 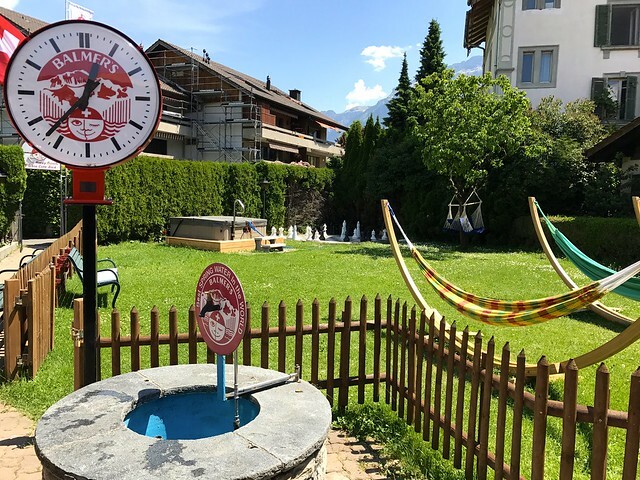 Fresh spring water can be found all around Interlaken from water wells, so pack your water bottle and get ready to drink some of the tastiest and freshest water you will experience in your entire life. Switzerland is a stunning country full of opportunities for adventure, marvellous scenery to take in, and warm and welcoming people too. 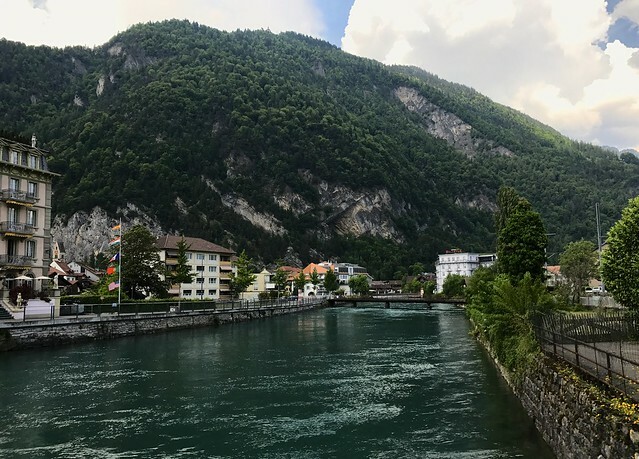 Interlaken is something of a hub within the Bernese region for tourists stopping off on a Eurotrip seeking stunning sights, and cultural insights. Travel to Interlaken and be sure to give your year a little dose of the great outdoors and relaxation that we all crave for from time to time. There really is something about the fresh alpine air, crisp water and breathtaking alpine views that you simply cannot beat. Enjoy your next trip to Interlaken, Switzerland.